Welcome from Mayor Lyda Krewson . . .
For 33 years I worked as CFO for Peckham Guyton Albers & Viets, Inc. (PGAV), an international design and planning firm in St. Louis so I know so well how important architects are to our communities and how much they add to our daily lives. I am forever grateful to the architectural community for its work, its heritage and its contributions to all of us. As mayor, I invite you to discover the diverse heritage of our city by exploring our 79 walkable and bikeable neighborhoods, each with its own unique architectural characteristics. At the heart of our neighborhoods is the downtown core, home to the St. Louis Arch, Citygarden, the Wainwright Building and many other notable historical and modern buildings. In addition to our wonderful neighborhoods, the city has 108 neighborhood parks including Forest Park, one of the largest urban parks in the country, and Tower Grove Park with its beautiful Victorian pavilions. These spaces provide access to nature, sporting facilities and public gathering spots. Enjoy your time exploring the architecture of our city and getting to meet the people of St. Louis who make this a great place to live and visit. 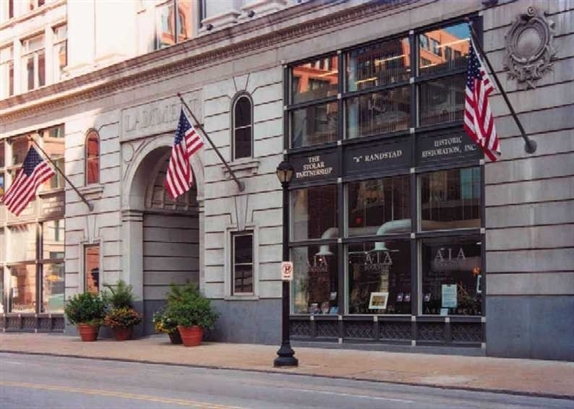 • To purchase (99 cents) the walking tour app of downtown STL, click HERE. • To learn more about the neighborhoods of the City, click HERE. • To learn more about the greater St. Louis metropolitan region, click HERE.